Twitter has changed the way people communicate. The marketing world, as it was known, has been carpet bombed. The rules have changed. The roles have changed. In a series of earlier blogs I talk about communication in the age of saturation, so I won’t repeat those points. However, I will revisit one reality: people don’t trust marketing and public relations any longer. Firstly, people want a clear value proposition articulated to their point of view, not from yours. The features or benefits you believe are not the features and benefits they may believe. Secondly, the most powerful motivator in today’s purchase decision is a recommendation. Does your Twitter strategy consist of ignoring Twitter or a some other proclamation around: I don’t get what the big deal is? Twitter is free to join and you can set up with an account in a matter of just a few minutes. 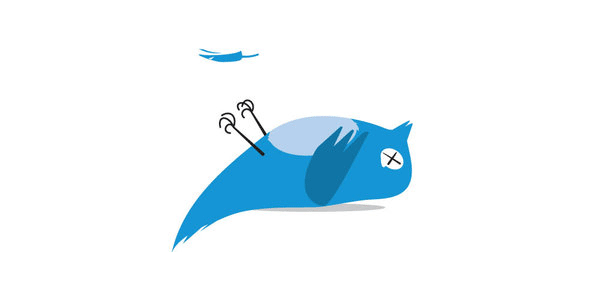 Improper use of Twitter is a costly mistake to you and to your business. There are many ways to find trouble within 140-character messages; with 140 as the maximum characters per Tweet. No business discussion* should advanced without some proposed measure or goal. Return on investment (ROI) is a very popular business driver and deserves a place in the evaluation of any business discussion. Executives may demand a Twitter ROI. This is an attempt to derail or discount Twitter, not an attempt to learn and leverage a Twitter strategy. I respect ROI. I believe what you can’t measure, you can’t change. Today, however, many social media and web 2.0 strategies use new kinds of measures and new business metrics. Like charting new territory, try new measures, monitor the results and let the data drive business discussions, not punishments. Instead of ROI to define Return on Investment, consider ROI to mean Return on Inclusion. Return on inclusion measures every click on a link you provide. It was clicked because there was a promise of payoff for that person. Did you payoff their effort? The more information you provide, the more informed a customer is to either make a decision or to recommend your service, that is why you Tweet. When you include people, you rely on their ability to reach their network for you. Let their words tell a story of your good or service. Twitter leverages ratings, filters, and recommendations as some of the most important marketing advances the Internet provides. The amount of Twitter followers, the amount of re-Tweets, the amount of #s all provide business measures. I invite you and your team to revisit Twitter. With both research and an open mind you might find Twitter enable marketing communication goals. Both as a fast way to research and as a quick way to reach out. Social media and web 2.0 provide a bucket of opportunities, but don’t let the technology drive your decision, let your strategic plan identify technology. Having a social media presence needs to meet goal, objective, or action of strategy. I would love to hear from you to talk further about your strategic plans and how Twitter or other options could help. You can find my Twitter account through this link Toby’s Twitter account. After I initially posted, Kevin Liebl reminded me how important listening is in today’s marketing as well as another Twitter twist. Read Mr. Liebl’s blog here: How Businesses can Leverage Twitter and tell him I sent you. *The difference between a business decision and a personality-based decision is that a business decision advocated with quantitative and qualitative data, not ego.